Whilst the prevalence of autism spectrum disorders in adults within the community setting is well-established, less is known about the prevalence among adults based within a psychiatric inpatient setting. To conduct a systematic literature review pertaining to the prevalence of autism spectrum disorders among the adult psychiatric inpatient population. 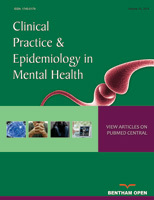 Eligibility criteria included: (a) investigation of the prevalence of autism spectrum disorders (b) adult psychiatric inpatient study population (c) published in English language. Electronic databases accessed included PubMed, Medline, CINAHL, PsycINFO and EMBASE. Additionally, the ancestry method was utilised for the references of eligible papers, as well as grey literature searches and consultation with experts in the field. From the search, 4 studies were identified which satisfied the inclusion criteria, conducted in a variety of inpatient psychiatric settings, including secure forensic and intellectual disability units and a state psychiatric hospital. There were significant differences in methodological approaches, including the screening tests, diagnostic instruments and diagnostic criteria utilised. Autism spectrum disorder prevalence estimates varied considerably, from 2.4-9.9%. From the limited research data currently available, it appears that the prevalence of autism spectrum disorders is increased in inpatient psychiatric settings relative to the general population. There is a need for further high quality research in this patient group, to add to this limited evidence base, as well as in developing effective strategies to identify patients with a high likelihood of autism spectrum disorders within this setting. Keywords: Autism, Asperger, Psychiatric, Inpatient, Intellectual, Disability, Adult. © 2018 Tromans et al.